David McWilliam lives and works in the Ann Arbor / Detroit area. 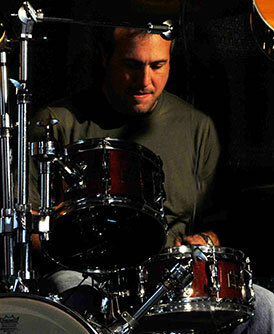 He has been a professional drummer for over 25 years and has been playing since the age of 6. After attending The Berklee College of Music in Boston, Dave returned to Michigan to focus on teaching and playing. He spent many years touring the country playing in various bands sharing the stage with groups such as Fuel, Sara McLaughlin, The Dixie Chicks and Richie Havens. David currently teaches at OZ’s Music, The Ann Arbor Academyand at his home studio in Ypsilanti.